Last week at Digital Marketers’ Traffic & Conversion Su mmit we talked a lot about retargeting, pixeling, funnels, and strategies. Until then, I knew very little about how it all worked together. 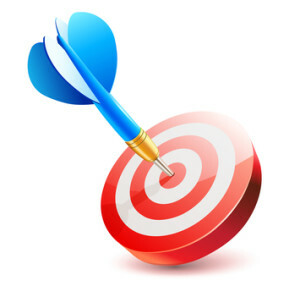 Retargeting is a way to keep your business in front of your website visitors. You put a piece of code on your web page (or entire website), AKA a pixel, that creates a cookie on your visitor’s browser when those specific pages (or entire site) is visited. As that visitor leaves your site and browses the internet, or is on Facebook, you’re stalking them. Well, not really but that’s what it can feel like!! They see advertisements about your business. Have you ever visited a website and suddenly you see that business everywhere? That’s what’s happening. So perhaps someone has visited your website because they had a broad need for your services or products. But they’re just not ready to buy yet. They leave and continue on their day. Later they’re surfing the web and there you are! You’re running Google ads or Facebook ads and you’re showing up on their browser and they visit again and perhaps, this time, they purchase. You can get really fancy in the retargeting, too. Maybe they visit your site and opt-in for your great free offer. You no longer want to advertise to them with info on that – they have it. So you can target your ads to your product or services now. Retargeting can be very specific and works better than throwing darts blindly to just anybody, because you’re targeting people who already have an interest in your business. Only about 2% of visitors convert into a customer on the first visit, so retargeting is designed to get those visitors back and converted. That being said, you do have to have website traffic before retargeting can be effective. So you may want to consider running retargeting ads as well as various other marketing strategies to drive traffic to your website.